Aaron Rodgers and the Green Bay Packers have absolutely nothing to play for at home against the division-rival Detroit Lions outside of pride on Sunday afternoon. About that pride. Green Bay didn’t show much of it in the first half against Detroit. 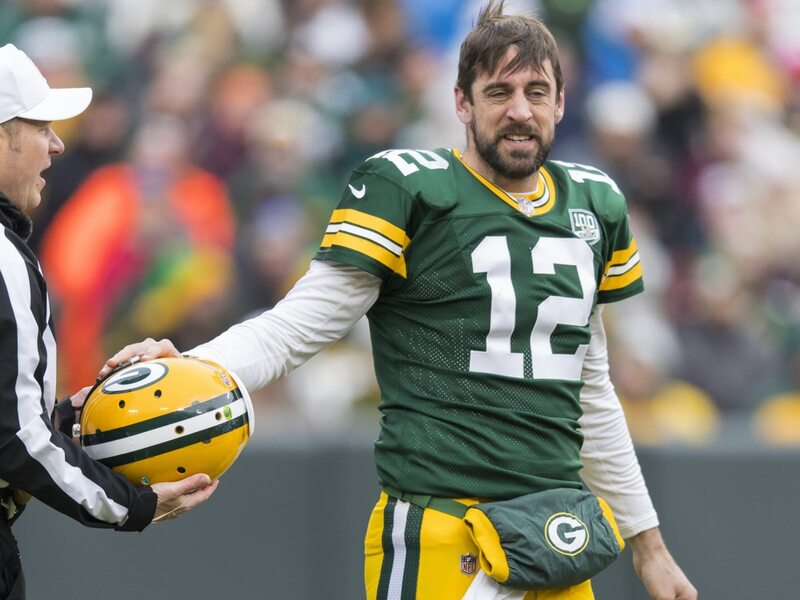 Dealing with an injury to Rodgers, the Packers found themselves down 21-0 at halftime. How bad was it? Well, the Lions outgained Green Bay 261-67 in the first two quarters. Needless to say, Twitter had a lot to say about the Pack tanking this game. Playing like it’s Week 17 and the cars are packed. Teams with 0 first half points and a deficit of (at least) two scores: Giants, Saints, Packers, Dolphins, Falcons. Teams with 3 first half points and a deficit of (at least) two scores: Jets and Jaguars. Late games can’t arrive soon enough. Down 21-0 with your backup QB. 9 seconds left at midfield and you’re punting? Just run around and heave it into the end zone. Embarrassing performance top to bottom from the Packers. Packers are punting while two yards shy of 69 in total offense. Fans have every right to boo. It's just surreal watching Kizer-led, Philbin-coached @packers trailing at home to last-place @Lions in a meaningless game. Imagine if you'd been disconnected from the #NFL since August and suddenly tuned in for the second quarter of this game. Beat the piss out of the Packers is fun. This first half effort and execution by the Green Bay Packers has been beyond awful and should be labeled embarrassing. And now a punt with 9 seconds remaining before the locker room. People paid hard earned money for this crap today. Supporting the wife and watching @packers play @Lions it’s a bit painful. Waiting to watch @Chiefs vs @Raiders last game of the regular season. #Packers No. 3 quarterback Tim Boyle is inactive today, so the next man up at quarterback after Kizer would likely be Randall Cobb, the hard-throwing lefty from Kentucky. He has been a wide receiver in the NFL, however, as you know. The Packers have 13 yards through the first quarter. Feel the excitement. Watching the #Lions and #Packers try to out-crap each other has been an oddly satisfying way to start the football slate.